For nearly four months, Special Counsel Robert Mueller’s office, the Justice Department and the FBI have kept secret the fact that the FBI agent who oversaw the Russia investigation exchanged anti-Trump and pro-Hillary Clinton text messages with an FBI attorney who was also his mistress. Those messages, the existence of which were revealed in bombshell reports published over the weekend, highlight a pattern of the Mueller team. Many of Mueller’s prosecutors — it has been extensively reported — have made campaign contributions to Clinton and other Democratic political candidates. And a review by The Daily Caller shows that Mueller lawyers involved in the cases against four Trump associates are Democratic donors. But Peter Strzok’s text messages — which he exchanged with Jill Page, an FBI lawyer who worked briefly on the Russia investigation — are perhaps the most significant evidence of anti-Trump bias uncovered so far on the Mueller team. The discovery could also undermine the integrity of Mueller’s expansive investigation. That’s because Strzok is the FBI agent picked in July 2016 to supervise the then-fledgling investigation into possible collusion between the Trump campaign and Russian government. Strzok’s central role in the probe is already raising questions about how and why the collusion investigation was opened in the first place. Carter Page, a former Trump campaign adviser targeted in the early stages of the investigation, told TheDC on Sunday that he is “curious…whether [Strzok’s] fingerprints” are on a secret surveillance warrant taken out against him in Sept. 2016, just after he left the Trump team. It is unclear what information was used in the application for the warrant, though it has been reported that the infamous and uncorroborated Steele dossier was cited. Page is accused in the dossier of being the Trump campaign’s collusion contact with the Kremlin, an allegation he vehemently denies. The Trump-Russia investigation was opened several weeks after Christopher Steele, the author of the dossier, first briefed FBI agents. The former British spy was working at the time for an opposition research firm that had been hired by the Clinton campaign and DNC to investigate Trump’s dealings in Russia. 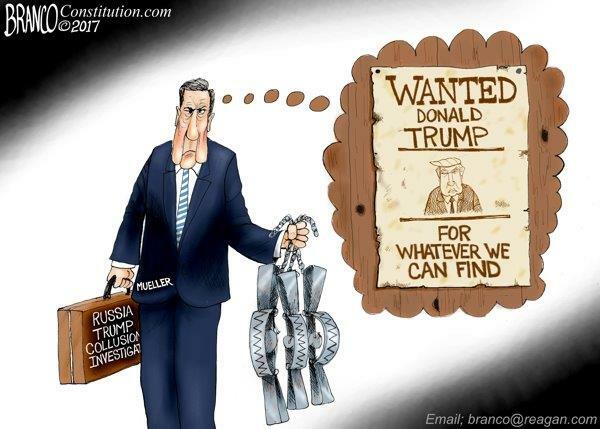 Mueller inherited the Russia investigation this May, when he was appointed special counsel after Trump fired James Comey as FBI director. Strzok’s departure from Mueller’s squad, reported in August, puzzled reporters covering the Russia investigation beat. Mueller’s press shop refused to provide an explanation for the move, characterizing it only as a personnel move. Congress was also kept in the dark. Requests for interviews with Strzok pushed by House Intelligence Committee chairman Devin Nunes were rejected by DOJ and FBI officials for months. Nunes also questioned whether Strzok handled the dossier. 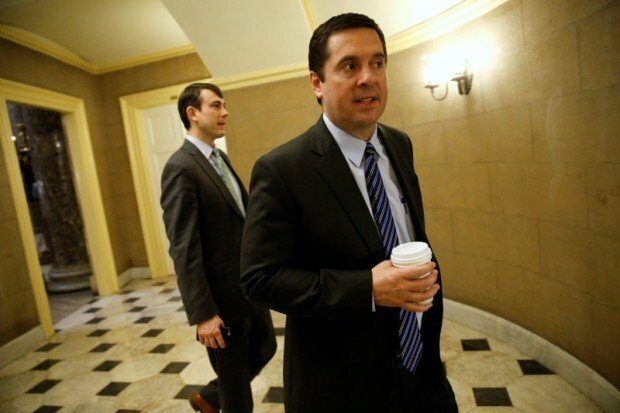 “This is part of a months-long pattern by the DOJ and FBI of stonewalling and obstructing this Committee’s oversight work, particularly oversight of their use of the Steele dossier,” Nunes said in a statement on Saturday. Strzok’s text messages with Page, his mistress, were first discovered by the Justice Department’s inspector general as part of an investigation that has been conducting into the FBI and DOJ’s handling of the Clinton email investigation. Strzok, a former Army officer, was the lead FBI investigator on that inquiry, too. He conducted the July 2, 2016, interview with Clinton herself. He was attended by David Laufman, a Justice Department lawyer and Obama donor. Strzok was also one of a handful of top FBI officials who was asked to review a rough draft of remarks that Comey planned to make in the Clinton case. Comey circulated the rough draft in May 2016. Republican lawmakers have seized on the draft of the so-called “exoneration” statement because it suggests that Comey had already reached a decision about the Clinton investigation before all witnesses — including Clinton — had been interviewed. Comey cleared Clinton of any charges in a public statement given on July 5, 2016. According to The New York Times and Washington Post, Strzok and Page, the FBI lawyer, exchanged their anti-Trump and pro-Clinton texts in the context of news events during the presidential campaign. It’s still unclear what exactly was discussed, but the messages are not the only evidence of Strzok’s link to politically-charged rhetoric. The demoted agent’s wife also appears to have deep pro-Clinton sentiments. Another unanswered mystery in the text message scandal is why Strzok’s politically-biased comments would be so problematic for Mueller given that many of the lawyers working under him have showed their political leanings in other ways. At least nine of Mueller’s prosecutors have donated to Democratic political candidates. And all of the legal actions taken so far in Mueller’s investigation have involved pro-Democrat prosecutors. The lawyers working the money laundering case against former Trump campaign chairman Paul Manafort and his associate, Rick Gates, have donated to Obama’s presidential campaigns. Andrew Weissmann, a veteran Justice Department prosecutor, gave $2,300 to Obama’s 2008 presidential campaign. He donated $2,000 to the DNC in 2006. Andrew Goldstein, who is working the case with Weissmann, contributed $3,300 to Obama’s campaigns in 2008 and 2012. One of the attorneys handling the case against former Trump adviser George Papadopoulos has also contributed heavily to Democrats. Jeannie Rhee, who served as a deputy assistant attorney general in the Obama administration, contributed $5,400 to Clinton’s campaign during the 2016 cycle. She also contributed $7,300 to Obama’s presidential campaigns. Papadopoulos pleaded guilty in October to lying to the FBI about contacts he had with Russians during the campaign. A former partner at Mueller’s old law firm, Wilmer Hale, Rhee has also represented Clinton and her family charity the Clinton Foundation in a 2015 lawsuit seeking access to the former secretary of state’s personal emails. Brandon Van Grack, one of the lawyers who secured a guilty plea against former national security adviser Michael Flynn, has also donated to Obama. A national security prosecutor with the DOJ, Van Grack contributed around $300 to Obama’s 2008 campaign.